In 1908, a few people of Topeka having had personal experiences with our Savior, and believing in the principles and doctrines of the Baptist Church, banded together at Madison and Jefferson on First Street for regular worship. The 20 members established a church and called it “Mythe Tree” (better known as “MYRTLE TREE”). They had as their first pastor Rev. Woodford, who pastored until 1910. The God they worshipped heard their pleas and prayers and the church increased numerically and spiritually. To accommodate the congregation they moved to a storefront located between 14th and 15th on Kansas Avenue. Rev. Albert Stonner, Rev. J. C. Northington, Rev. C. C. Crockett, Rev. Arthur, and Rev. McAdoo all pastored between 1911 and 1914. During this period (1912) the church was incorporated. Incorporators appearing on the incorporation papers were; Brothers George McAdoo, T.M. Mayo, A. Goodbar, S.H. Howard, L. Richardson, and J.B. Wilder. The membership by now had reached 200. A call to the pastorate was extended to Rev. Benjamin Davidson, and under his successful leadership the membership outgrew the little meetinghouse. Sis. Ella Hughes was the first candidate for baptism under Rev. Davidson’s leadership. The membership had grown to 300. The members voted to buy lots at Monroe and 14th Street to build a new edifice. Members were assessed various amounts and the husband of a member donated his horses, wagon and time to build the foundation. They also changed the name of their church to Mount Carmel. The new edifice was dedicated on July 20, 1916. The year 1919 was one of thanksgiving when the mortgage was paid off. Rev. Davidson resigned after three years of church growth. Rev. J. W. Lewis was extended a call and served as Mount Carmel’s pastor from 1920 until 1923. He was a talented speaker and singer. The building was always filled to capacity for services. A factional controversy arose which resulted in the loss of a few members who organized the True Vine Missionary Baptist Church. In a special business meeting held on August 21, 1923, the church voted to extend the call to Rev. C. M. Watson as Pastor. Rev. John H. Allen was an Associate Minister. During this tenure, the offering envelope system for receiving funds was introduced. The Senior Mission presented the church with a beautiful individual communion set. Among Rev. Watson’s accomplishments was the installation of the baptismal pool. After nearly three years, he tendered his resignation on February 5, 1926. Rev. B. W. Lockett was called and held the pastorate from April, 1926 until 1928. Rev. McKinley C. Terry was the next Pastor. On the fourth Sunday afternoon in March, 1935, Rev. J. W. Walthall accepted the pastorate and served until June 13, 1937, when his resignation was accepted. Beginning with the latter part of Rev. Terry’s administration until 1945, Mount Carmel again faced a crisis. Rev. Grant and Rev. H. B. Johnson pastored between 1937 and 1945. Although these were trying times, the second mortgage was burned through the efforts of the Willing Workers and Pathfinders Clubs under Rev. Johnson’s administration. For the second time in Mount Carmel’s history, a factional controversy arose and the church was left without a pastor. On October 14, 1945, the Rev. F. Oliver Webb was called to pastor the Mt. Carmel Baptist Church. He had been the financial secretary of the Shiloh Baptist Church from 1930 to 1945, and preached his first sermon there on December 10, 1944. Rev. Webb accepted the “Little Zion,” as he affectionately called it, with 42 members. Prayer was the key before any decision. Rev. Webb was known locally and throughout the state for his faith in prayer. During his administration, Mount Carmel was known for having the largest weekly prayer service in the state of Kansas. Many young people connected with nearby Forbes Air Force Base found a deeper, more meaningful spiritual life, and made lasting friendships at Mount Carmel. Many and various tangible blessings enhanced the effectiveness of the church’s purpose and program. A new organ and piano graced the sanctuary. The west end of the church was extended to house restrooms, a pastor’s study and a room for choir robes. The house behind the church was purchased and remodeled and became known as the Annex. It contained the dining room and kitchen. A parade and special service for laying the corner stone was held in 1949. A frame constructed dwelling north of the church at 1331 Monroe was acquired for a parsonage. A number of auxiliaries came into existence during Rev. Webb’s administration. The Nurses’ Corps, Gospel Chorus, Children’s Choir, and the Teenage, Young Women’s Choir, and Men’s choruses were all organized under this administration. Other auxiliaries formed included the Brotherhood, Nannie Burroughs’ Missionary Circle, Jr. and Sr. Red Circle Girls, and the Kingdom Builders. The Finance Committee was organized under Rev. Webb’s administration to manage and keep records of the church’s finances. The membership had grown to 449 and it was apparent that the physical plant would need to be expanded. A Building Fund Committee was appointed to receive contributions. Rev. Webb served longer than any other pastor in the history of Mount Carmel. After 10 vital years, he passed away after completing the morning worship service on March 4, 1956. Mount Carmel had again become a strong and growing church, but the church was again without a leader. After a few months Rev. R. C. Higgs was extended a call to join us in Christ’s work. His first sermon as Pastor of Mt. Carmel was on June 17, 1956. Under his administration, the Building Fund program was continued and grew rapidly. Increased funds were given to develop a youth program and Christian Education through the Sunday School, Training Union and Vacation Bible School. The following brethren, called church officers, became ordained Deacons: Orville Fizer, Earl Jenkins, Wynn Lewis, Thomas Patterson, Clarence Saunders, and Albert Thompson. The Courtesy Guild, Boy Scout Troop 101 and Missionary Union of our church were organized under Rev. Higgs’ pastorate. 160 members were added to the church during this period, and Rev. Fred Embry, Rev. Lloyd Miller, Rev. Wayne Ridge, and Rev. R. E. Riggins were all licensed to preach. Rev. Philip Kemp also served the church. Rev. R. C. Higgs resigned in March, 1959. Rev. James Owens, who labored faithfully beside both Rev. Webb and Rev. Higgs, by consent of the official board and members, assumed the great responsibility as Interim Pastor after Rev. Higgs’ resignation. He acted in this capacity for seven months and was ordained in order to administer such duties as is required of any pastor. Under Rev. Owens’ guidance, the membership remained loyal and steady during this period. He was later made Assistant Pastor by a vote of the church. An invitation was extended to Pastor Rev. W. L. Templeton, who accepted the call November 1, 1959. He came to us with the qualities of a pastor, teacher and leader, and a faith to go forward. During the time Pastor Templeton joined us, the Building Fund program has been sustained and accelerated. Implicit faith in God was Rev. Templeton’s motto and attitude he strived to project and instill in God’s people. Shortly after Rev. W. L. Templeton became Pastor, the church engaged in a Building Fund project to purchase a new church building. The first official service held in the name of Mount Carmel Missionary Baptist Church at 610 S.E. Lime Street, although we had not moved in, was the Home-going Celebration of Sis. Magnolia Phelps. This was on August 21, 1962, when the First Assembly of God Church gave permission to Pastor Templeton to utilize the church for the service. After many anxious months of negotiations, hard work and prayer, Sunday, September 9, 1962, became a historical date for Mount Carmel. It was the day we moved to our new church home at 610 S.E. Lime Street. Services were held at the 14th and Monroe Street location from 9:00 to 10:00 am, and then a motorcade proceeded to the new home. Rev. Templeton led the congregation into our beautiful edifice singing “We’re Marching to Zion”. Many ministers, friends and well-wishers attended the services throughout the day. Rev. A. J. Pearson of Shiloh Baptist Church, Topeka gave the Prayer of Rededication. One of Pastor Templeton’s greatest joys was going into the water to baptize. This important and happy occasion was climaxed with a Baptismal Service. His first candidate for baptism was Brother Henry Austin. From the beginning of Rev. Templeton’s work at Mount Carmel, increased emphasis has been placed on Christian Education and missionary endeavors. Because of a genuine interest in young people, our youth are an integral part of the life of Mount Carmel. Rev. Templeton admonished the members to do everything “God’s Way.” Following Pastor Templeton’s example, many families and individuals of the church are now tithing. A centralized treasury created to handle all of the church’s funds was also created under Pastor Templeton. Existing auxiliaries and programs progressed under his leadership, and new ones were initiated. An orientation class for new members was set up in 1963. In 1963, the Deacon and Trustee Boards were expanded in number and duties. In an Ordination Service held on July 13, 1963, four young men became Deacons. 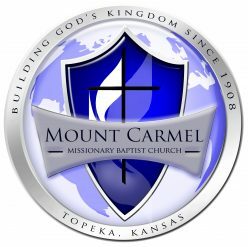 The Mount Carmel Missionary Baptist Church has continued to reach out in our community, in our connectional work and missionary endeavors. Mrs. Josephine Minter, a past president of the Missionary Department of the church served in Malawi, East Africa in one of the Mission Stations under the auspices of the National Baptist Convention, USA, Inc., Foreign Mission Board. This enhanced and created greater interest in our Foreign Mission work; the church subsequently voted to become a monthly contributor to the support of the foreign missionaries. On June 8, 1966, a tornado brought a devastating blow to our city and to our church. Extensive damage was done to the parsonage, church building and the furnishings. Everything was repaired and the church added a parking lot, a glassed front, a new outdoor bulletin board, an improved speaker system, and a new organ and piano for the sanctuary. Also, a new heating and air conditioning plant was installed. A temporary parsonage located on Humboldt Street was purchased. The Mortgage Burning Ceremony liquidating the mortgage on the edifice at 610 S.E. Lime Street was held in October 1971. A second and larger parsonage was purchased at 3020 S.E. Indiana. This indebtedness was liquidated on March 29, 1984. Through the years under Pastor Templeton’s leadership, the Mount Carmel Missionary Baptist Church continued to grow spiritually, to reach out in our community, in our connectional work and in our missionary endeavors. Since 1968, the church has been a monthly contributor through its “Dedicated Dollars” plan for the support of the work of the Foreign Mission Board, in support of our own foreign Missionary, Sister Josephine Quarles Minter. Between 1978 and 1987, 19 laymen of the congregation acknowledged the call to the ministry under Pastor Templeton. Rev. William Clark and Rev. Homer Martin were ordained December 6, 1985, and served as assistants to the Pastor. The first Sunday in April 1982, marked the beginning of the yearlong celebration of the Diamond Jubilee (75 years) for Mount Carmel Missionary Baptist Church. The commemorative activities of the 75th Anniversary Year culminated in April, 1983, with the former pastor, Rev. R. C. Higgs, bringing the morning message. Associate Minister Kenneth Hill brought a new ministry to the church’s dimension. At the request of the late Rev. Billy J. Johnson, the former Pastor of the Calvary Baptist Church of Topeka, Rev. Hill, empowered by the Holy Spirit, came to the aide of an ill, fellow minister. Rev. Hill served as the replacement for Rev. Johnson’s Prison Ministry since 1984 until his passing in August 2015, by preaching and teaching Bible Study sessions each Sunday at the Topeka Correctional Facility located on the Topeka State Hospital grounds winning many souls for Christ. Mount Carmel continues to labor in the service of the Lord by extending the church’s ministry to the local community and continuing the prison ministry. As the result, our membership had grown to nearly 600 members. The church’s local community involvement has concentrated on spreading the Word to disadvantaged and incarcerated individuals. Many of these persons remain an integral part of the church membership. Throughout the years, Mount Carmel has also continued its evangelistic outreach by conducting spring revivals and cottage prayer services. The second and third week of April of each year has commonly been known as Cottage Prayer and Spring Revival weeks. A Fall Revival has been traditionally held the third week of August and Parking Lot Services each Saturday during the month of August. Mount Carmel Missionary Baptist Church celebrated its 100th (Centennial Platinum Jubilee) anniversary in 2008. The following year in 2009, Rev. Dr. W. L. Templeton celebrated 50 years of service as Pastor of the Mount Carmel Missionary Baptist Church. After serving 52 years, on December 31, 2011, Rev. Dr. Templeton preached his last sermon at the Watch Night Service. He then officially retired as Pastor. Rev. Dr. W.L. 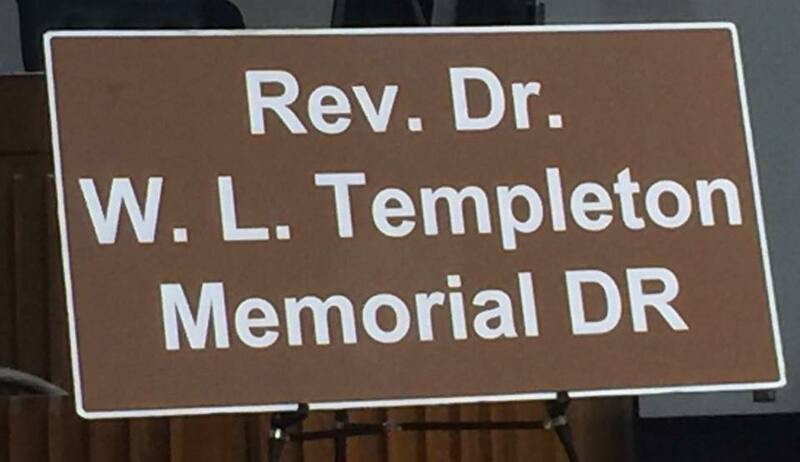 Templeton was the longest tenured Pastor of Mount Carmel with 52 years of loyal and dedicated service. A total of 35 laymen have acknowledged the call to the ministry, and a total of 22 brethren have been ordained as Deacons under Pastor Templeton’s leadership. On March 17, 2013, Rev. Marcus A. Clark preached his first sermon at Mount Carmel as a Pastoral candidate. He preached his second sermon in May, and on June 8, 2013 was selected as our next pastor by the church body. Rev. Clark was installed September 1, 2013. Under Pastor Clark, the church made considerable strides in church membership. His “20/20 Vision” challenged the church to look to the future while respecting the past. Pastor Clark’s tenure ended January 30, 2015. Reverend Joseph Fisher Sr. assumed the responsibility of Interim Pastor on March 6, 2015, at the request of the church body and served in that capacity until his death in May 2016. Rev. Dr. W. L. Templeton served as Pastor Emeritus until his death in May 2016. 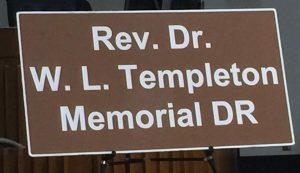 In recognition of Pastor Templeton’s dedicated and faithful service to Mount Carmel and the Topeka community, the 600 and 700 blocks of S.E. Lime were dedicated as the “Rev. Dr. W.L. Templeton Memorial Drive” on October 21, 2016.